Oven is ready to go! The rocket stoves got a re-coat of render, too. Tea and cake and music and conversation as we worked. Who would like to start up a baker’s group? Get neighbours involved. There are some tricks to using these ovens. Tools to be made: Peel, Door, swivel and rooker. Fun workshop on Saturday. It was a small, not too serious, gathering with music. We used materials we had on site (with the addition of a 1/2 tonne of sand). Inner shell of the mud oven is now complete….. It will dry slowly over the next week. Next Saturday we will build the insulating layer, and prepare the outer shell mixture with a MUD STOMP. We will have some food and music and light the rocket stove. We have a booklet to explain the construction process, how to manage the fire, how to use a wood fire for baking, maintenance and recipes. traditional low-cost, wood-fired, mud oven. 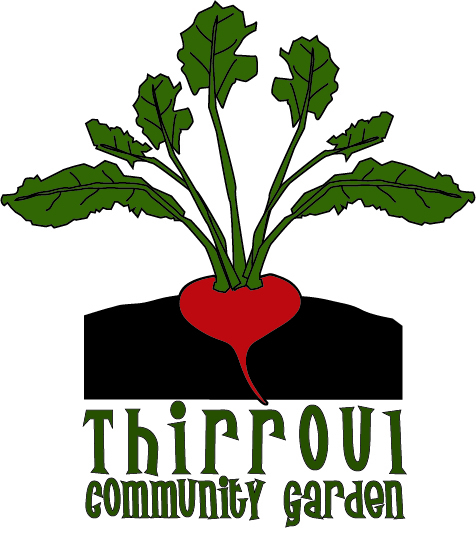 Register your interest at thirroulgardeners@gmail.com. There has been talk about building a cob pizza oven at the garden over the summer months. I’ve been asked to let you know the materials required, to be gathered over the next few months. Clay: The subsoil that many of you have in your backyards, neighbours excavations. Builders are have to get rid of it. Pick it up in lumps, bring it to the garden in buckets(the big ones). We can keep it there soaked and ready. Straw: We have a fair bit of that! Fire bricks or old dry pressed bricks for the base cook surface. Materials for a little roof covering- timber/tin or we could locate it under the cola. Small wading pool (feet wash off). We had a great time at our Open Day on September 23rd. Thanks to everyone who attended. We would also like to send our sincere thanks to Peter Button for welcoming us on behalf of the Dharawal custodians of the land, and for his music. We would also like to thank the local businesses who donated bread rolls and sausages for our barbeque, and plants and tools for our herb spiral and garden. And a huge thankyou also to our marvelous neighbours Anne and Trevor for donating the electricity and putting up with us – not just on the open day, but 24/7 supporters and guardians of our garden! 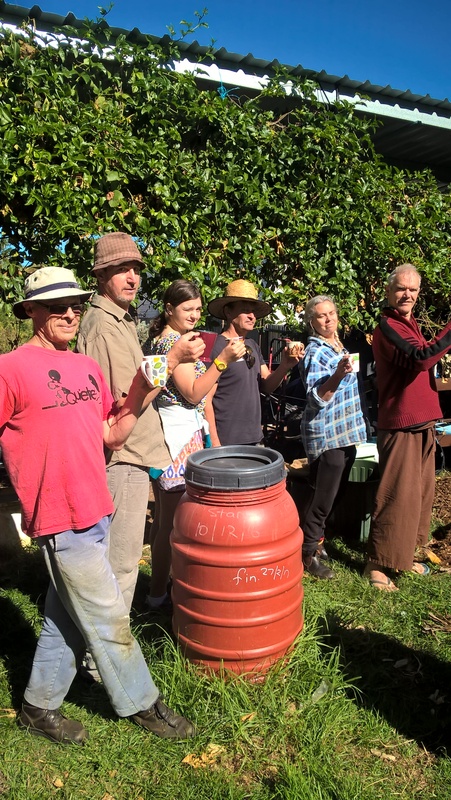 The materials for the herb spirals – the lucerne, straw, hay and cow manure – were purchased for us by Wollongong Council from a fund allocated to helping purchase resources for Wollongong community gardens. And huge thanks in particular to Vanessa John for not only informing us of this funding opportunity, but purchasing and arranging delivery of the materials direct to our site. 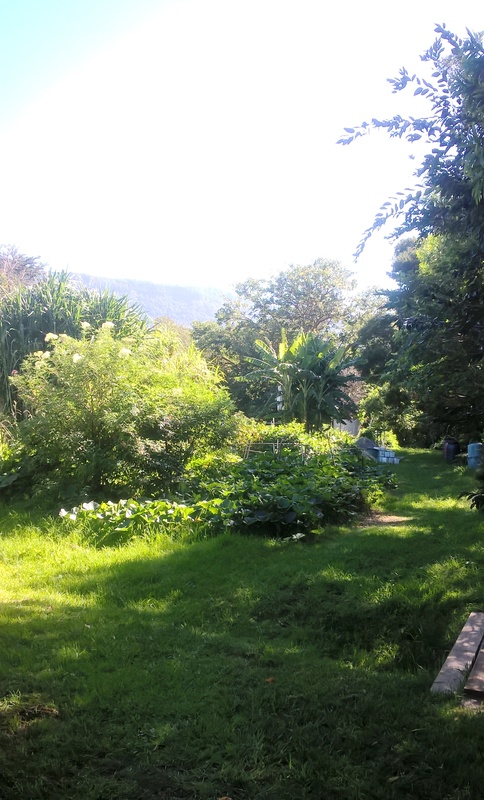 And last but not least the hard-working members of the Thirroul Gardeners (you know who you are! But a special shout out to event organizers including Kazie, Kade, Paul, Robert, Camille, Paddy, Julie, Jenny, Vicki, Alex, Colin, THANKS!) and their friends and family (Maree! Pete!, Mark, Yoshie, Karen!, Peter, Lisa, Lani, Stuart, and more!) who worked so hard to make this happen. Spring is here there’s plenty to do, so its time to get some more hands on deck. Now we have Team Leaders for our sub-committees we need you to get involved with an area of garden development that interests you. A film for you to watch and contemplate. Helping you to understand the impending global crisis – who controls the food and your nutrition. Big Government will do what Big Business wants them to do – keep Big Farming alive. But on closer examination that Big System is falling apart at the very foundations – the soil itself. Petroleum Companies supply Chemical companies that force feed mono-cultures with chemicals that ultimately destroy soil life and vitality which in turn produce food of poor nutritional value. Please take time out from the mainstream to learn about whats going on today. This film is about local communities taking control of the food they eat. August 26th saw a group of keen participants meet to discuss the garden site plan and plants ideas for the Southern half of our very extensive site at High St Reserve. We now own and will soon erect an under cover area, called a Cola along with 2 water collection tanks due to be installed by end September all funded by a Government Grant. There is much to get started and completed as we have set ourselves a target date of September 23rd Spring Equinox for an Open Day at the site with ceremonial garden bed building and planting. There are plans for food and a cake stall and please let us know if you can donate a cake or some time to help out. More info on this will be supplied in the coming weeks. The aim is to build 3 herb spirals on the day – donations of materials and herb seedlings very much appreciated. Please come along and meet the crew who have been working so very hard at getting this garden ” in the ground”. 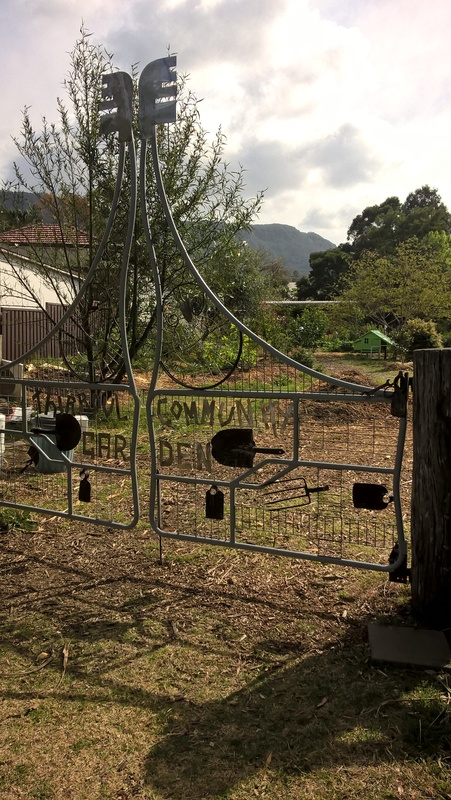 Information about memberships, Garden design and future activities will be available on the day, with committee members happy to talk about their experience and expectations of the Thirroul Community Garden Project. Please take a look at some new pages listed here on the blog that show some of the work we have accomplished this month and also information about upcoming projects. We really need volunteers and new members to come on board to help make the garden a success. There is a lot to do and doing it together helps bond friendships and community.